800 years ago this month King John was cornered by his barons in a field at Runnymede and made to place his seal on this document, the Great Charter, that limited his power. It was likely the first of its kind. He and the other chief executives have been fighting the issue ever since. Ab initio this document is not liberty and justice for all. Consider Section 11- And if anyone dies, and owes a debt to Jews, his wife shall have her dower and pay nothing towards that debt. Felons lost everything under Section 32 We will hold the lands of those convicted of a felony for a year and a day, and then the lands are to be surrendered to the lords of the fees. One can see a special interest lobby throughout the document; Section 33 All fish-weirs are in future to be entirely removed from the Thames and the Medway, and throughout the whole of England, except on the sea-coast. A fishing lobby? And what is a fish weir anyway? The document is legendary. King John really did tax his subjects without mercy. There really was a Richard the Lionhearted that preceded him and there really is a place called Nottingham and a Sherwood forest. The idea that the King could control every forest and the hunting therein was part of the grist for conflict for Robin Hood. 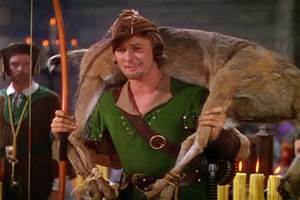 There is this great scene in the Erroll Flynn film The Adventures of Robin Hood where he defiantly throws down a stag he has shot in the Kings forest right there at the castle. That kind of conduct normally won the offender having his eye gouged out until Magna Carta. Robin Hood and Maid Marion are just street names in Nottingham though, but the document does reference the forest being opened and out of the Kings control. As time progressed in the wake of Magna Carta Monarchs and Presidents tried to get out of it. 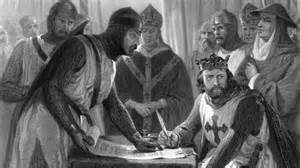 King John had Pope Innocent III annul the document by Papal Bull within 2 months of it’s signing, light speed for 13th Century England. It was reinstated after he died. Charles I was beheaded for assuming too much power. 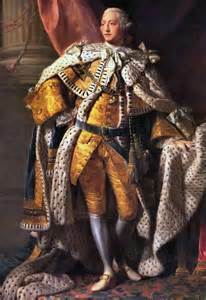 A revolution in 17th century England more or less settled the matter once and for all, Parliament is where the primary source of power was to end up, but not before we here in America decided George III had taken too much liberty with our liberty and we broke from Great Britain. John Adams cited the Magna Carta as authority for the breach. Some of this remains part of English law today, and some is cited by the US Supreme Court periodically, most recently in Boumediene v. Bush (2008) finding that non-citizens held at Guantanamo Bay Cuba do indeed have a right to seek a writ of habeas corpus. The court cited Section 39, as the most distant and therefore traditional authority that no one is subject to arbitrary and unlawful restraint. (39) No free man is to be arrested, or imprisoned, or disseised or outlawed, or exiled, or in any other way ruined, nor will we go against him or send against him, except by the lawful judgment of his peers or by the law of the land. No one is above the law, not Kings, Presidents, or other governments. In Magna Carta the Rule of Law was born.